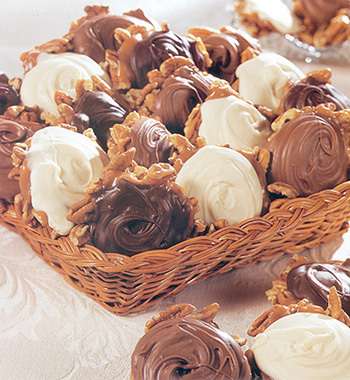 To make our Pecan Paws™, we use the finest pecan halves, drench them in rich, creamy caramel, then top it all with a mound of chocolate. Gift Boxes and baskets contain individually wrapped 2-oz. paws™.